It’s that time of year again when the kids go back to sch ool, which means it’s also time for our annual family send-off dinner for Claire, who heads back to the University of North Carolina – Chapel Hill. We love to “theme” things up on special occasions and for this meal, Cindy found a Tar Heel Pie. 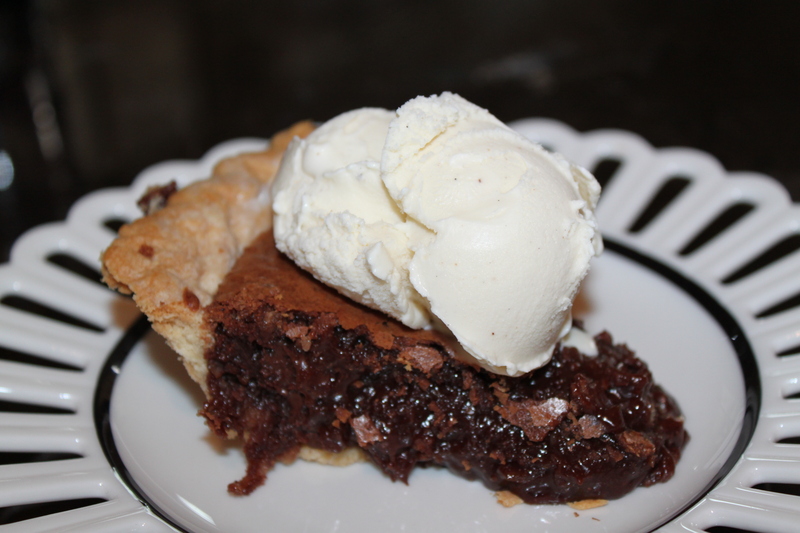 For those of you not in the know, a Tar Heel is the mascot for UNC and you don’t have to be a Tar Heel to enjoy this chocolatey, brownie-like pie. Have a great year at school Claire and GO HEELS! 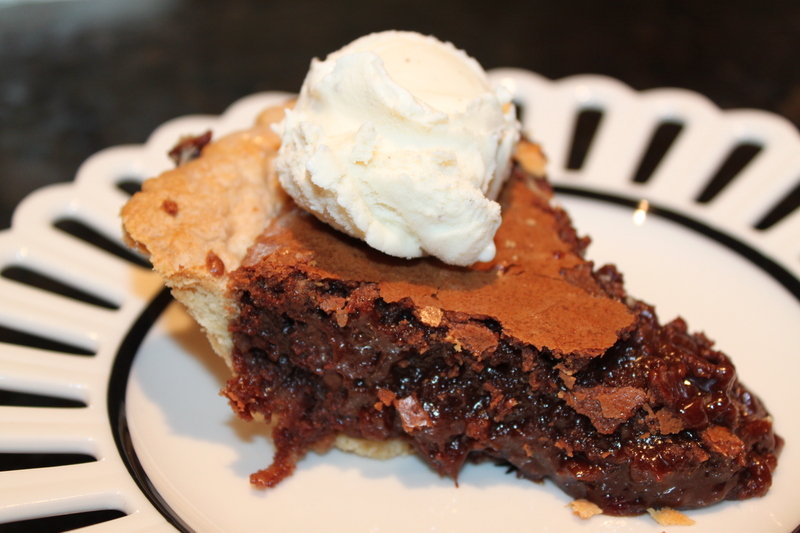 We’re not sure why this dish is called Tar Heel pie, but it’s so good that we really don’t care. 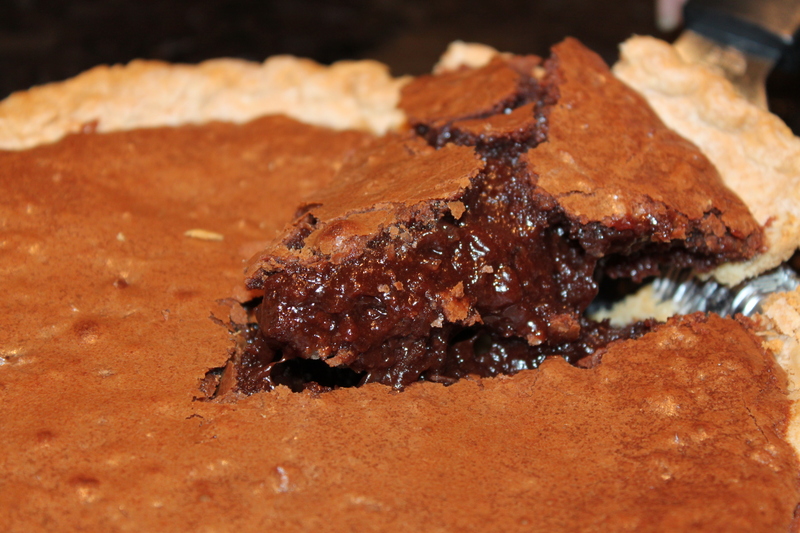 It’s basically like eating brownie batter in a pie crust and we can’t get enough of it! If you’re in the mood for a rich and delicious dessert, try this pie. Your taste buds will thank you. Your waist will not. Stir in eggs and vanilla. This will be very thick. Fold in pecans (or skip this item and look at the next step), coconut and 1/4 cup chocolate chips. 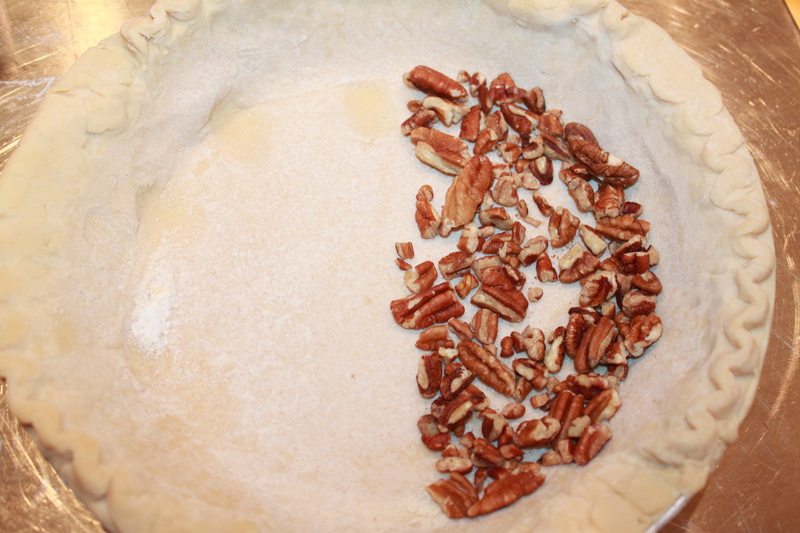 We have a few pecan-haters in our kitchen, so in order to please everyone we added the pecans to one half of the pie crust before pouring the chocolate filling. Bake in a preheated oven for 35 to 40 minutes. 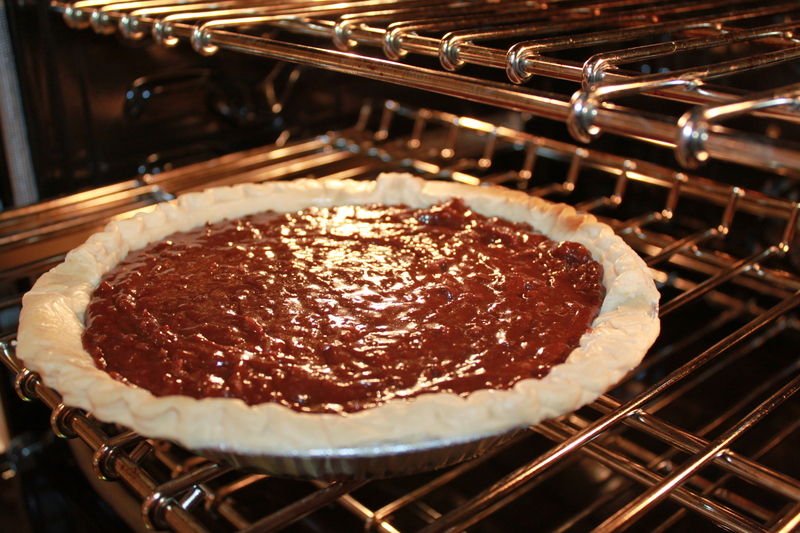 The top of the pie should be set, but may crack slightly – kinda like a brownie. Mmm. Top with a dollop of ice cream and enjoy! Go TarHeels! 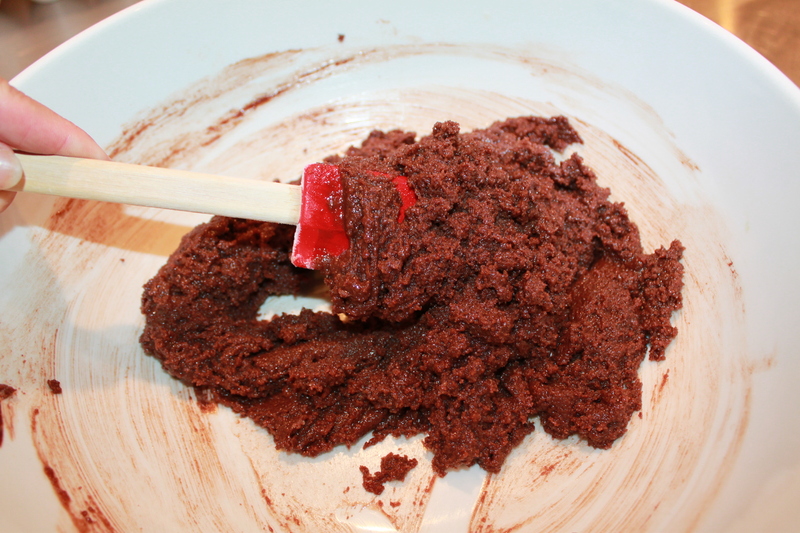 In a large bowl, pour warm melted butter over 3/4 cup chocolate chips. Stir until smooth. 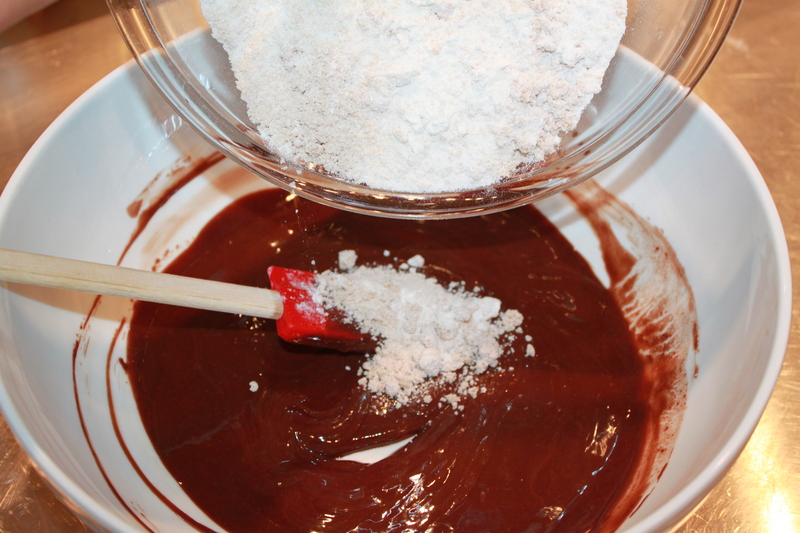 Mix together flour, brown sugar, and white sugar, then stir into chocolate mixture. Stir in eggs and vanilla. 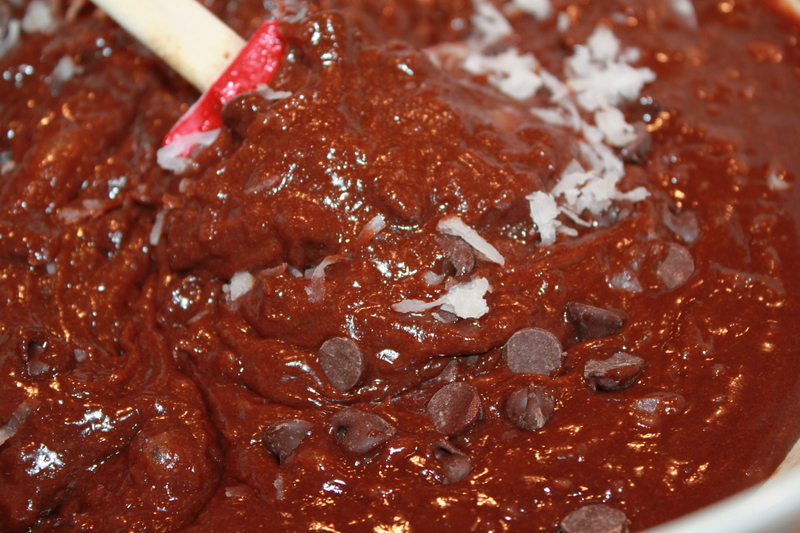 Fold in pecans, coconut, and 1/4 cup chocolate chips. Pour into pie crust. Bake in preheated oven for 35 to 40 minutes. 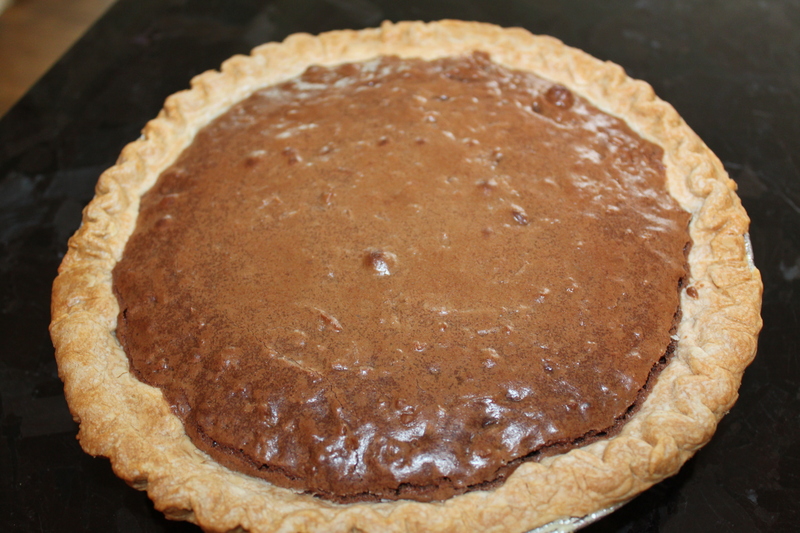 Top should be set, and may crack slightly, but the pie is best if under-baked.